LOS ANGELES -- Sheriff's investigators plan to recommend that prosecutors file a vehicular manslaughter charge against Caitlyn Jenner for her role in a fatal car crash last February, officials said Thursday. Investigators found that Jenner was driving "unsafe for the prevailing road conditions" when her SUV rear-ended a Lexus, Los Angeles County Sheriff's Department spokeswoman Nicole Nishida said. Jenner's SUV rear-ended two cars, pushing the Lexus into oncoming traffic and also hitting a Prius. The Lexus driver, 69-year-old Kim Howe, was killed when her car was struck head-on by a Hummer. The case will be presented to prosecutors for final review next week, Nishida said. The district attorney's office will determine what charges Jenner ultimately faces. If convicted of such a charge, Jenner could face up to one year in county jail. Jenner's attorney Blair Berk declined comment. The fatal crash occurred months before Caitlyn Jenner's transition. 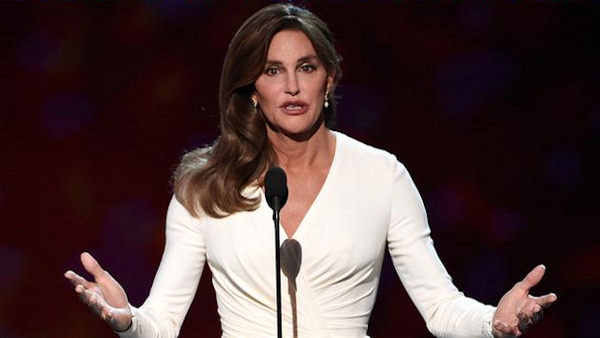 She was formerly known as Bruce Jenner, the 1976 Olympic decathlon champion and Kim Kardashian's stepfather. Howe's stepchildren have filed suit against Jenner claiming they've suffered enormous damages. Attorneys for Howe's step-children, Dana Redmond and William Howe, did not immediately return email messages seeking comment. Another woman, Jessica Steindorff, who was driving the Prius, also filed suit seeking unspecified damages. A phone message for Steindorff's attorney, Brad Simon, was not immediately returned on Thursday. Jenner's transition has played out in public over the past several months and included a high-profile interview with ABC's Diane Sawyer last April, in which Jenner, appearing nervous at first, declared, "Yes, for all intents and purposes, I am a woman." She appeared on the July cover of Vanity Fair - her transition complete - with a photo of a long-haired Jenner in a strapless corset, legs crossed, sitting on a stool. The image was shot by famed celeb photographer Annie Leibovitz. Inside, more images depict Jenner in gold lame, a black bustier and a cleavage-baring, off-the-shoulder gown. Jenner also debuted a new Twitter account with: "I'm so happy after such a long struggle to be living my true self. Welcome to the world Caitlyn. Can't wait for you to get to know her/me." In about three hours, the account had more than 860,000 followers.